New York Times bestselling author and artist James Dean brings readers some fun in the sun! 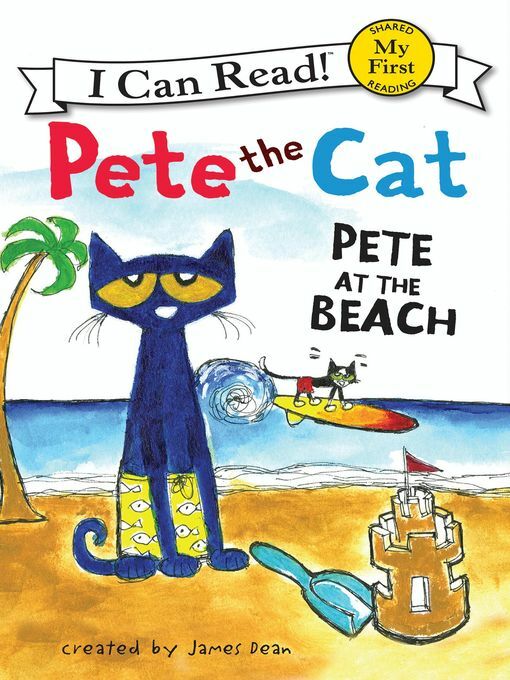 Pete the Cat is one groovy cat at finding shells and building sand castles at the beach. But when it gets too hot, there's only one way to cool off—jump into the ocean! Except Pete might be a scaredy-cat when it comes to the water. Pete the Cat: Pete at the Beach is a My First I Can Read book, which means it's perfect for shared reading with a child.